One of the easiest ways to manage MySQL databases is using phpMyAdmin. 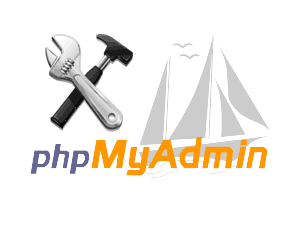 phpMyAdmin is a free tool intended to handle the administration of MySQL using the web. There are several good reference materials available, in case you want to learn more about phpMyAdmin and what it can do. Recently, I described how to install phpMyAdmin in Ubuntu. In this post, I will provide a few phpMyAdmin tweaks to your liking. If find that with a little bit of tweaking I can increase my productivity within phpMyAdmin. Not all phpMyAdmin tweaks may be of interest to you and so just pick the ones that you like. Refer to phpMyAdmin Wiki for further details and tweaks. First, make sure file uploads are allowed. Find the following line and ensure file_uploads is set to On. You may have to exit and re-login into phpMyAdmin. 36000 is the number of seconds your phpMyAdmin session will remain active during inactivity. Reload your Apache server for the settings to take effect. You may have to exit and re-login into phpMyAdmin. Please note that this loosens your security just a little bit. But doing so can help you greatly during development or initial database setup. But once your work is done, I recommend removing the line or commenting it out by adding // in the front. Note that you can have only one of the above options active at any time. If you want to reverse this, just delete the line or comment it out by adding // in front of it. Save, exit, and reload Apache for the settings to take effect. You may have to exit and re-login into phpMyAdmin. If you want to reverse this, just delete the line or comment it out by adding // in front of it. 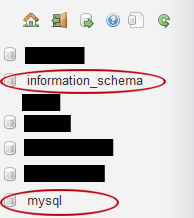 By default clicking on the database name on the left takes you to the “Structure” tab of the database. You can customize this by adding one of the lines below at end of /etc/phpmyadmin/config.inc.php. In addition to customizing the number of rows displayed, sometimes you may want to display all available rows while browsing a table. While the above 10 phpMyAdmin tweaks are my favorite, there are few others that might be of help to others. Just like the above tweaks, add each line at the end of /etc/phpmyadmin/config.inc.php. Save, exit, and reload Apache for the settings to take effect. You may have to exit and re-login into phpMyAdmin. If you want to reverse any of the above tweaks, just delete the line or comment it out by adding // in front of it. Hope these phpMyAdmin tweaks come in handy for you. You can find more tweaks in phpMyAdmin Wiki. Enjoy!